Should I Meet with the College Reps Who Visit My School? In the college admissions game, finding a great match is a two-way street. Sure, you and your peers are in search of schools that will meet your needs, standards and interests. However, did you realize that universities also eagerly seek out students who might be a good fit? Indeed, colleges continually and actively market themselves in the hopes of attracting a strong applicant pool. And one of the most effective (and beneficial) recruitment strategies they adopt is sending admissions officers to visit high schools and represent their respective institutions at college fairs. These visits can (and should) serve as a vital component of your college planning process. After all, you’ll be able to glean first-hand information about various institutions and connect with admissions officers face-to-face. How will meeting with college reps help me? It offers you exposure to colleges or universities that you might not have been aware of or initially considered. You can gather information and ask specific questions about the college or university in a small group setting. In some cases, you might be able to present your transcript and test scores to get a tentative idea about your eligibility for admission. This is particularly helpful in determining if a school is a good overall match for your abilities and interests or in learning how you might improve your chances for admission. It provides both you and the admissions officer a face that connects to a name. 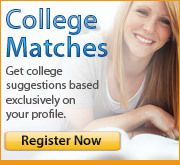 In other words, you have a specific person with whom to make contact at the college or university. Likewise, the college rep will have met you, the prospective student or applicant whose name appears on the records at the admissions office. In many cases, this representative is also the first reader of your application and the person who becomes your in-house advocate in the admissions process. You want that person to know who you are! If you are seriously interested in attending the college, your presence and attentiveness at the meeting are good indicators of that interest. How will I know which colleges will visit my school and when they will be there? High schools have their own policies regarding student contact with college reps. Talk to your guidance counselor about how your school handles this aspect of college planning. If it entails being excused from class, be sure to get the necessary permission or complete the required paperwork. Further, should your school’s policy only permit college reps to meet with students during the lunch period, don’t allow social distractions or peer pressure to deny you this important opportunity. Visit with the reps. Get their business cards, copies of college view books, catalogues and other materials they provide. Demonstrate to the colleges and everyone else that you are serious about your future and will explore all of the options available to you -- whenever and wherever possible.